This post was co-written by Shopify’s Casandra Campbell. Imagine increasing revenue by 34.7% ($3.4 million in one year) from your FAQ section alone or growing conversion rates from your blog by 800%. These aren’t made-up numbers. These are real results from real companies shared in response to our request for examples of awesome content marketing via HARO and other channels. 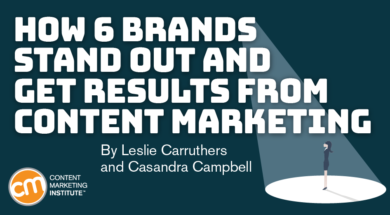 Let’s explore how six companies in six industries find amazing results from their content marketing programs. 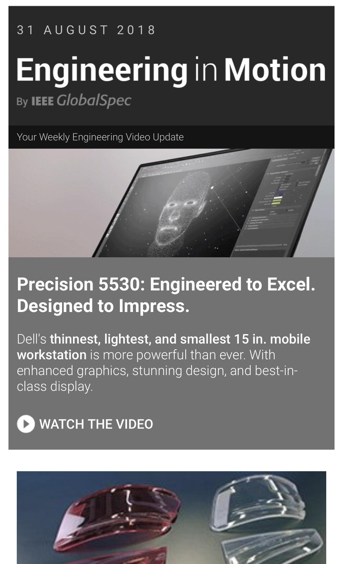 The world’s largest online destination for engineers and technical professionals, Engineering360.com, published by IEEE GlobalSpec, offers news and analysis to 8 million engineers. Armed with data showing a high engagement rate for videos on the site and in newsletters – and a familiarity with its target millennial audience’s tendency to watch video on mobile devices – the IEEE GlobalSpec team designed a video-focused newsletter. IEEE GlobalSpec used a proprietary model to find people who interacted with its videos or webinars to develop the circulation for the newsletter, according to Zander Wharton, senior account executive of Finn Partners. The methodology focused on selecting the audience most likely to interact with this type of content, not which industries they were in. The newsletter content includes video that’s interesting to a general engineering audience. Deliver content in the format your audience prefers. Don’t be afraid to be more general and less niche in your targeting. 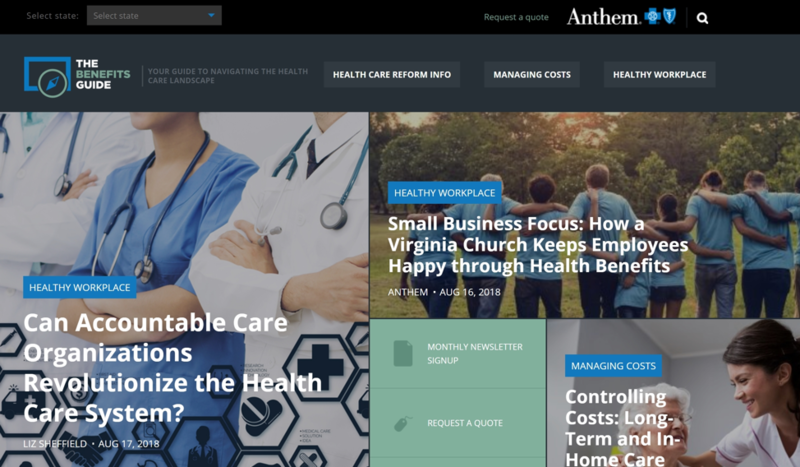 Health insurance provider Anthem BlueCross BlueShield developed The Benefits Guide to provide objective, practical information to business owners looking to promote office health or to better understand the Affordable Care Act (ACA). The Benefits Guide serves Anthem’s small-business-owner audience through objective, simple, and actionable content. A technology upgrade helped Anthem improve the visitor site experience by providing content recommendations based on the visitor’s interests and behavior rather than only on the currently viewed content topic, according to Lauren Cranston, PR and social media specialist at Skyword. The team also designed a form for requesting more information that fit the site’s design. It felt more organic than a typical sales lead generation form and ended up capturing some of the highest qualified traffic coming through the page. Anthem invested in empathy and objectivity, and it made all the difference to business owners. Personalizing content recommendations based on a holistic view of the visitor, not only the topic consumed in that one visit, led to significant growth. HANDPICKED RELATED CONTENT: Are You Still Content Marketing Like It’s 2018? 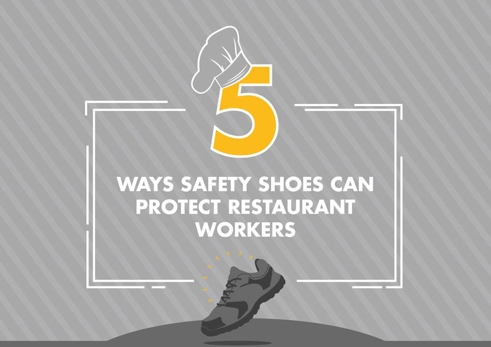 Shoes for Crews, a European producer and retailer of slip-resistant footwear for men and women in the service and hospitality industry, produces highly read The Gripping Blog for hospitality workers. Shoes for Crews creates its blog posts to address queries and keywords with a low search volume to achieve a higher ranking more easily, according to Tiffany Kalus, SEO executive at Digital 22. This approach not only drove quality traffic to the site but, through internal linking, provided a boost to other focus pages on the website. Choose the topics that matter to your audience to create value. More specifically, focus on relevant keywords with smaller search volumes to achieve rankings quickly. 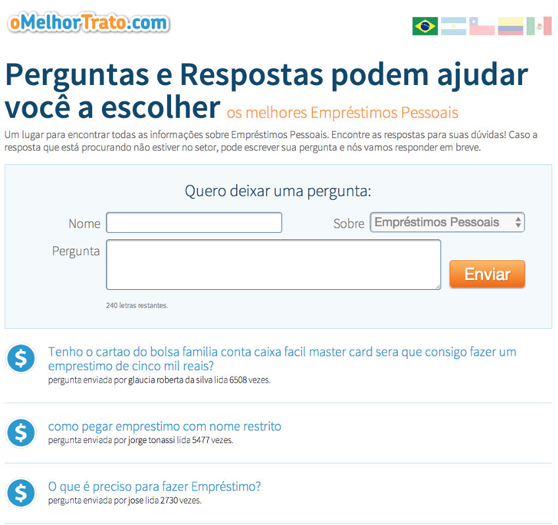 oMelhorTrato, a financial comparison service in South America, aims to help people understand financial decisions. When visitors submit questions to the site, the answers get published as a blog post on its “FAQ ask an expert” page. All questions submitted get a thorough answer, according to Cristian Rennella, CEO and co-founder oMelhorTrato. These responses are not only sent to the visitor but also get published on the blog to serve as a resource for other visitors and to show the company’s expertise in the space. Look for opportunities, including your data, to create valuable content assets. Identify how a response to a single audience member could be used to address many. HANDPICKED RELATED CONTENT: Does Your Content Answer Searchers’ Questions? SupplyHouse.com is an online retailer of plumbing and HVAC supplies whose target audience is industry professionals (plumbers, contractors, HVAC techs etc.). SupplyHouse.com launched a user-generated content campaign, Trades Built on Pride, to honor tradespeople and the work they do every day. The marketing team reached out to a well-known Facebook plumbing community and asked members to record videos of themselves saying how long they’ve been in the trade, what they do, and anything else they wanted to add. After receiving 20 submissions, the marketing team developed multiple versions of the videos, according to Raquel Sosnovich, social media strategist at SupplyHouse.com. Some versions targeted website visitors, while others targeted HVAC Contractors and other industry professionals. The videos were also tailored to several content platforms. Think of unique avenues to engage and ask your target audience to help create the content. Don’t take a one-and-done approach. Think about how to tailor the same original content for multiple audiences. HANDPICKED RELATED CONTENT: User-Generated Content: Where Does It Fit in Your Content Marketing Strategy? BuzzSumo, which provides social engagement data for content marketers, faces stiff competition for content marketing attention. Yet it achieved impressive results from a single article – We Analyzed 100 Million Headlines. Here’s What We Learned (New Research). 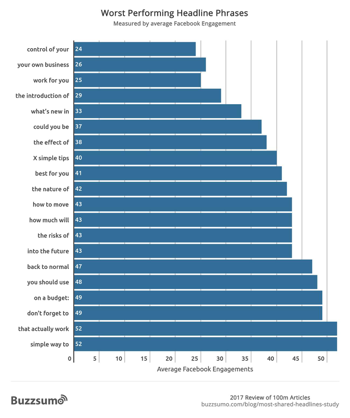 BuzzSumo used its own data to develop the top headline research. It also picked a topic it knew would generate a lot of interest among its target audiences and be referenced by expert-related sources in the industry. Think about what data your brand can offer that would most interest your audience. Evaluate where your backlinks would be most well-received by high-authority domains. These six examples illustrate how content marketing can be useful in nearly any industry at nearly any stage of the sales funnel. Taking your content marketing program from good to great means looking for ways to differentiate your content, focusing on your target audience, and constantly refining your methods to achieve your goals. Differentiate yourself in the marketplace by joining the winter session of Content Marketing University. Register today. Leslie is founder and President of The Search Guru, a 14-year-old digital marketing agency providing businesses visibility, targeted traffic and improving conversion rates. A seasoned Internet marketing professional (1999) trained by early SEO icons, Leslie holds a journalism degree and was named one of the Top Women in SEO for 2012 and Content Marketing Influencer and Expert to Follow into 2019. Leslie has presented to the national Direct Marketing Association, SMX West, General Electric and other national and regional groups. Follow her on Twitter @TheSearchGuru.